Parking fees in Dublin City to rise. The most expensive "Yellow Zone" designation in Dublin City is to be extended. Proposals for parking fees in the areas of greatest demand in Dublin City Centre to increase from €2.90 per hour to €3.20 per hour on weekdays have been approved by councillors. 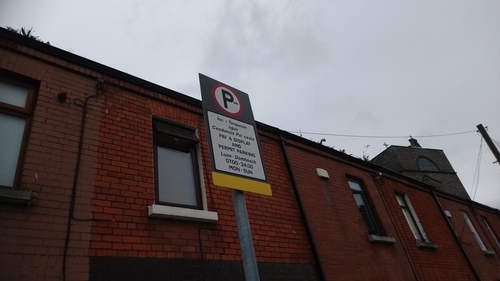 The proposals suggest an increase of 30 cent per hour in the so-called yellow zone in the city centre and would also see parking in the the 'high demand' red zone increasing from €2.40 to €2.70. The yellow zone covers areas like Merrion Square. Under the new charges, it will cost 10c an hour less for those using the Parking Tag mobile phone App. They were approved last night and will now be subject to a public consultation process. The more expensive yellow zone will also be extended in the North City as far as the section of the North Circular Road at Mountjoy Prison and streets around the Mater Hospital, Blessington St and Mountjoy Square. The red zone would be extended to include the Ranelagh, Rathmines and the Quays at the 3 Arena and all of Sir John Rogerson's Quay. The medium demand green zone's charge is staying at €1.60 but the zone will be extended to include Kilmainham, the South Circular Road and Dolphins Barn. While some motorists will be facing an increase from €1.60 to €2.70, Dublin City Council says that even with the new fees, parking would still be cheaper than the charges at 17 of 18 car parks it surveyed. The introduction of a €9 per hour fee for coaches has also been agreed by city councillors and will now go for public consultation also. The coach parking charge is proposed for designated coach parking bays and a recent meeting of the council's Transport Committee heard the plan is to encourage operators to use facilities like the depot provided by the National Transport Authority on North Wall Quay.